Need to Quote different configuration options, or identify all the components associated with a proposed solution, but sometimes you don’t want to itemise the pricing for each component? Then our Quoting module offers this and more. Twenty customisable text buttons where you store your own story behind each button, so you can personalise a Quote very quickly plus incorporate product detail specifics which are easily retrieved from selected Product records. 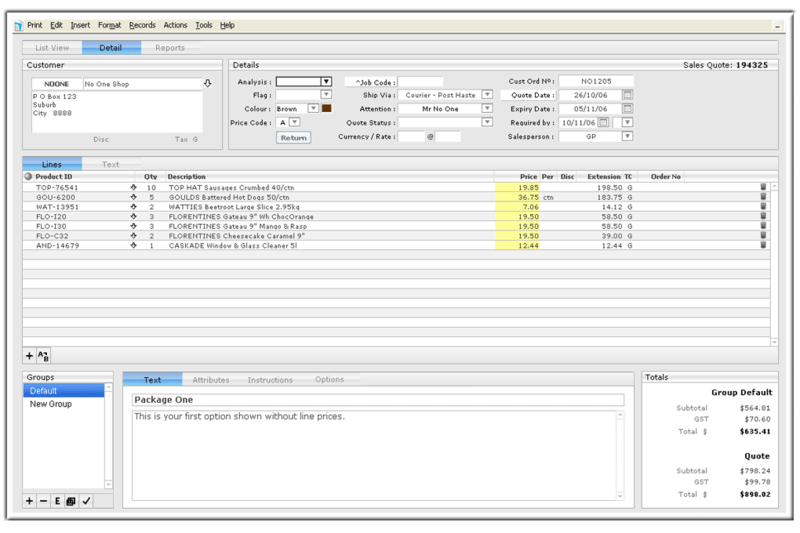 Manage all outstanding Quotes easily, view by Quote Date, Expiry Date, Sales Rep or Value.